Your agency’s bread and butter is healthy policy retention during the critical renewal phase. HawkSoft fuels your retention with Uprate Alerts. 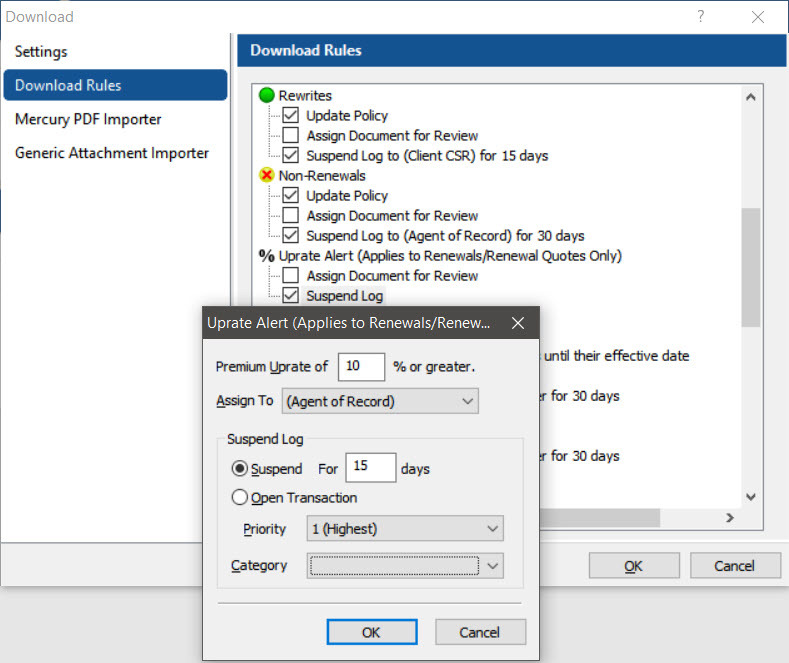 Receive automatic notifications when renewal premiums of existing policies exceed a percentage amount. We use Uprate Alerts every day and it has eliminated our manual checking of renewal increases. We love how Uprate Alerts automatically notifies our staff of premium increases. We have HawkSoft set to notify the CSR if the increase is more than 10%. This helps us clearly communicate with our clients before they receive renewal notices – making us a trusted, proactive advisor. Uprate Alert calculates the difference between the Current Premium and the Renewal Premium referenced in the carrier download. If the difference is greater than the threshold that you configure, a follow-up task is created and assigned to a member of your staff. A copy of the renewal download will be added to their Documents for Review folder. A notification is sent to the staff member to review all documents in a central place.